From cars to earthmovers to airplanes, tyres are used on all kinds of vehicles. 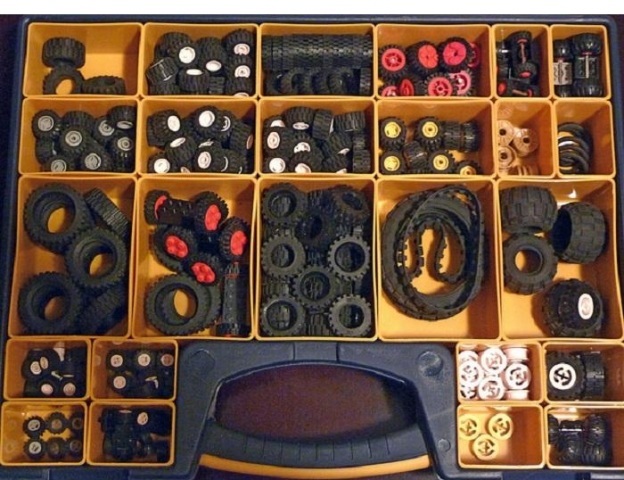 Steer through this article to know the different types of tires. Who knew that an early wheel found some 5500 years back in Mesopotamia would become one of the most wanted and useful accessories in the modern age! But it was only in 1844 that Charles Goodyear discovered the vulcanization process and introduced tyres to the world of automobiles. Today, about 85% of the car’s weight is supported by air provided by the vulcanized rubber, while the remaining 15% is supported by the tyre. Thus, you can imagine what a car would look like without the presence of a tyre. What legs are to us, tyres are to vehicles! However, there are certain criteria for choosing a tyre for your car since each has its own specifications and characteristics. Your choice would depend on what you use your car for, where you reside, how rough or smooth you drive, and several other factors. Considering the different driving conditions, given here are some kinds of tyres that are most commonly used. Take a look at them. Standard tyres are probably the ones on which every production car comes out of the factory. They are suitable for all weather conditions since they have a pattern that allows them to run smoothly all year round. Hence, they are also known as all-round or all-season tyres. They are designed to provide a perfect balance between grip, performance, longevity, noise, and wet-weather safety. Further, they are made with a harder rubber compound that sacrifices outright grip and cornering performance in order to increase the life of the tyres. Hence, they work well in wet as well as dry conditions. Designed especially for withstanding the dry season, performance tyres are preferred for faster cars or by people who love to drive harder and rougher than average riders. Designed with a softer rubber compound, performance tyres deliver excellent grip performance, though it reduces the lifespan of the tyre. Nonetheless, they are best suited for dry regions and can be used throughout the year if you reside in places with warm climatic conditions and little rain. This is why they are also referred to as summer tyres. Also known as wet-weather tyres, winter tyres are designed to help people drive through bad weather brought by winters or rainfalls. They are made of hard rubber compound that heats up quickly both in wet and cold conditions, thereby providing excellent grip on challenging and risky roads. They are even equipped with small metal studs embedded into the tread that makes driving through ice and snow smooth and easy. However, they cannot be used round the year since the tyres wear out quickly in dry conditions damaging the road surface as well. Designed for SUVs and light trucks, all-terrain tyres are large in size with stiffer sidewalls and bigger tread block patterns. Though these larger tread blocks create a lot of noise on normal roads, they are very efficient on loose sand and dirty off-road by having a good grip on them. The rubber compound used in all-terrain tyres is generally middle-of-the-road, which is neither soft nor hard. These provide a perfect balance between off-road capabilities and good on-road manners. Mud tyres are the best option for driving across muddy roads due to the presence of massive and super-chunky tread blocks. The tread blocks are designed to provide excellent hold on muddy surfaces, thereby allowing the driver to drive through with ease and convenience. However, mud tyres do not offer any advantages of driving on any other road condition. Nonetheless, when it comes to off-road driving, they are simply unmatchable. With the changes and developments in the car industry, tyres, too, have got a new face. Run flat tyres are the newest and most accepted concept on new cars. They are intended to reduce the loss of handling a car while your tyre gets punctured. As such, you can continue driving your car without letting air enter the tyre, but this is only possible for short distances at low speeds.